Two Great Restaurants in Bethel Are Suddenly Closing! 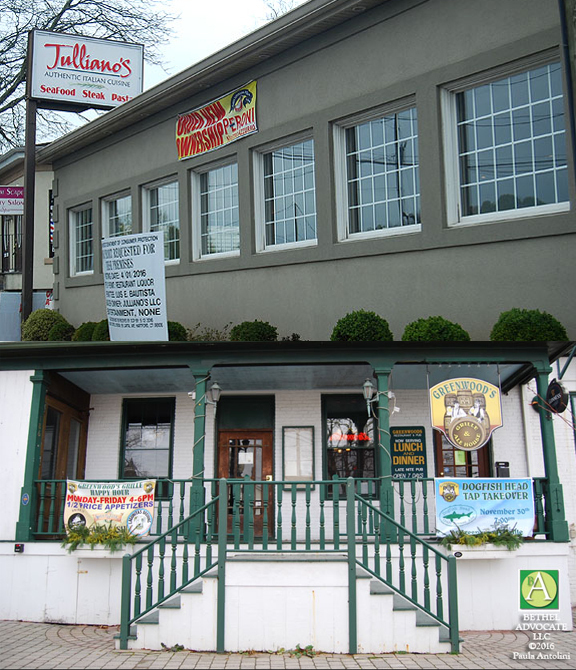 Greenwoods Grille, located at 186 Greenwood Avenue in Bethel, Connecticut is closing on April 26, 2017, the owners have just announced. 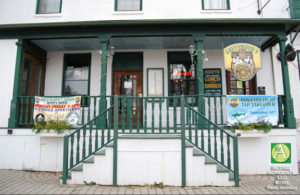 “On Wednesday April 26th Matt and Susan will be closing the doors to Greenwoods. We would like to thank everyone for coming in over the past seven years and making Greenwoods an enjoyable place to be. Thank you for taking a part of your day and spending it with us. From all the staff past and present thank you. We will join you on the other side of the bar. Owners Matt and Susan Stein opened the doors to Greenwoods Grille for the first time on May 25, 2010, in the Bethel Opera House, which was was built in 1860 by Augustus A. Fisher. Since then the building has been used for a wide variety of uses including a hat manufacturing business, a silent movie theater, a public and town hall and even a roller skating rink all under different names; Fisher’s Hall, Nichols’ Opera House, Barnum Theatre and Leeja Hall. 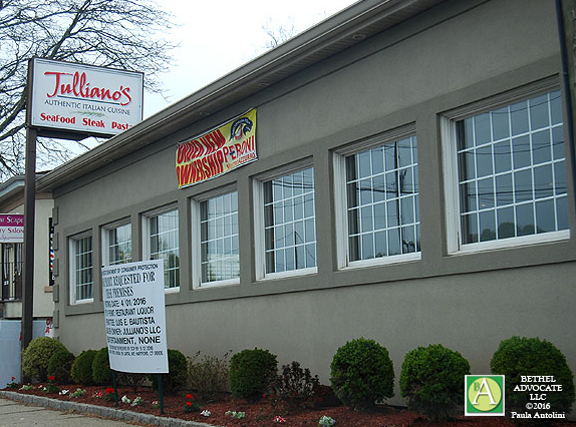 We also received information (still waiting to confirm) that Juilliano’s Authentic Italian Cuisine restaurant, located at 41 Grassy Plain Street in Bethel, Connecticut, is “closing indefinitely” because they “were busy but could not make a profit” (from a reliable source). We had covered the ribbon cutting grand opening ceremony just last June 15, 2016. Partners/owners Julio Cevallos and Louis Bautizta have a combined 26 years in the restaurant business and previously worked at Rizzuto’s. We are sad to see them go! Wishing both owners and employees all the best!